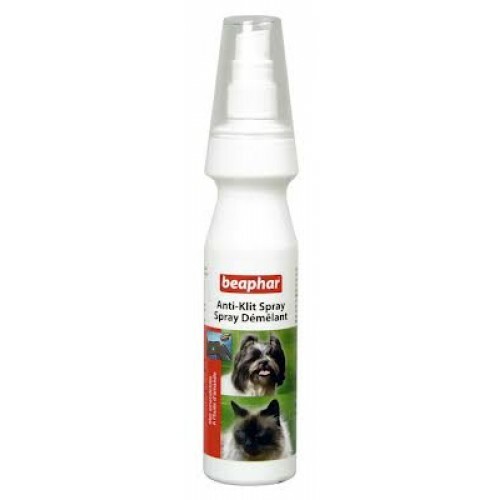 Ideal for cats & dogs An aid to grooming this spray makes brushing and combing a much more pleasant experience! Simply spray over the coat a few minutes before grooming for a more pleasant experience for both you and your pet! Contains exotic Almond Oil to leave the skin and coat sleek and supple. Good spray from a distance of 30 cm dan 10 min. Leave on good and comb through.